Looking for a recipe to warm you up on a chilly Sunday? 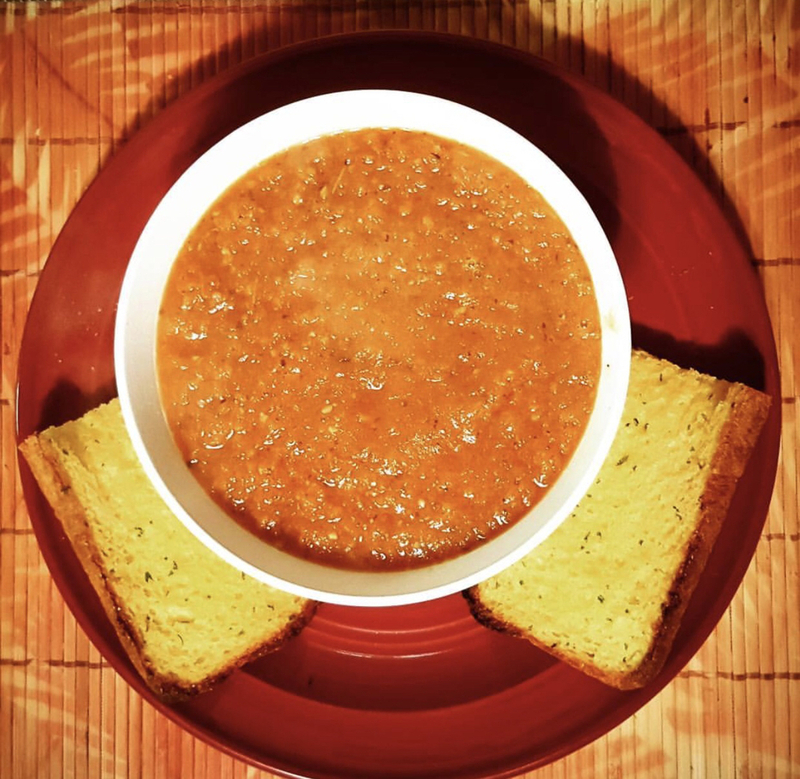 Give this recipe for homemade tomato soup a try. In a large pot over medium heat, sauté the diced onion, minced garlic, and diced celery in olive oil until softened, (about 5 minutes). Add the tomatoes, carrots, and stock and bring to a boil. Reduce heat and simmer the soup until the carrots are tender, (about 30 minutes). Remove the soup from the heat and purée with a blender or in a food processor until the soup reaches the desired consistency. This soup is better chunky. Stir in the basil, parsley, and oregano; season with pepper as needed. We recommend serving this soup with a side of hot garlic bread. Shopping in Garrettsville keeps your money right here in your community. This recipe can be prepared with affordable ingredients from Sky Plaza IGA, and Save A Lot. Have a recipe you’d like to share? Let us know on our Facebook page.